Cast On returns for its ninth series, trailing builder’s dust, bits of rubble and three moments of ritual humiliation. We spend an hour on the 4th plinth in ten minutes, and magically wind up very close to home. This week’s Audible recommendation is the Victorian True Crime Murder Mystery, The Suspicions of Mr Whicher, by Kate Summerscale. If you missed my hour on the plinth, take heart. It is still available for viewing online. Want to make felt but don’t know where to begin? Try Felting Lessons with Terri Pike. I just knew you’d be back today! I’m so excited. I can’t wait to hear what you’ve prepared for us diehard listeners. Happy Fall. Is it too sad that I’ve been excited about this all week (and checking iTunes all day)? So glad you’re back! Yay! You’re back and iTunes is downloading the anniversary episode! Yay!!! Huzzah! I can’t wait to listen! Yeah!!! You’re back. Like Robin, you’ve been missed!!! I love your podcast. I started to listen to your podcasts in July, yup, every one of them, condensed, got through them all, some twice, relieved by the peace you found in series 8. Wouldn’t have missed any of them. But, I had to time them because I knew you would be offline until your anniversary and after overdosing for 4 months I’m ready for more, and excited to be here real time for the next chapter. Thanks for sharing! I was so happy to get this podcast!!!!!!!!! I was out trick-or-treating last night and just got it today! I can’t wait for the rest of the series to come out I’ve missed you. YEAH!!! So glad you are back and all is well! I was a little worried….. Welcome back, Brenda. I tucked myself onto my bed with my knitting and my iPod last night and thoroughly enjoyed your podcast. Thanks! I have the pleasure of knowing Terri and I can say that her stuff is beautiful and unique. I’m really glad that you decided to mention felting and I hope that you do more with it in the future. It’s good to hear you again…..
YAY! I have NOT been very patient, waiting to hear from you. Thanks so much for your podcast, your words are wise and friendly. I did not get to watch it real time, but I did today, and knit every minute of it with you. This was so much fun! Knitting I guess IS a way of life, a way of communicating and sharing. Welcome back! I missed your voice this summer! I was really looking forward to Halloween this year, not for the candy but in anticipation of a new episode from Brenda. And it’s here! Waiting now for a quiet moment to listen and savor. I’m glad your interest is piqued by the Nuno felting…. it is quite beautiful and a lesser known fiber art. It gets a lot of questions and comments when people see it. I was looking for the knitted sponge pattern in the show notes. Did I miss it? Hunter’s recipe for a knitted sponge is in the comments (number 45, I believe) on Episode 84: Industrial Fashion. I am glad you are back… and I am glad I came back to my ipod just in time for your aniversary. Happy podcaniversary!! Did you keep the hat`? I think it fits you great! I have listened to all your podcasts at least twice. And was fearful you might not return. Although we live on opposites sides of the Atlantic, I feel like you are one of my dearest neighbors. Welcome back!! And thank you som much for these wonderful podcasts and for the other podcasts yours has inspired. It’s great to have you back! I’ve missed you! Thanks so much for a wonderful podcast. Welcome back! It made my day to start it by listening to your podcast, and your turn on the plinth is wonderful. What an amazing experience that must have been. Gotta admit, though, my heart was beating a little faster at the thought of sitting on something that high. *SO* glad to have you back, to listen to when I go on my daily walks. What a cool experience being on the plinth must have been — though you are a far braver woman than I!! I have yet to make time to watch the entire video, but I promise I will — and I will knit along, though with much finer yarn. Looking forward to the new series. The Tilted Jacket! Yes! I ended up knitting 2. Misery loves company, I am sorry to admit. The first did not fit me; it fit my much smaller niece. The second sweater fit and looked, well, pretty bad. I followed the directions all through for the first sweater in Peruvia Dragon. It was lovely, and, damn it! It didn’t fit. Not at all. The second one is disappointing, but not exactly a disaster. It’s going somewhere else, to someone else who might love it. Maybe. Onward. More ill-fitting sweaters lie ahead. got back from Trick or Treating, sat down to the computer and suddenly a light went off which said, “Hey, Brenda Dayne is supposed to be back right about now….i wonder…(search, search…) Y E S ” followed victory run through the house. my family will struggle through my need for a cast on fix, and my staff at my cafe says, “reallllly, you listen to a, a, a….knitting PODCAST?” i cannot answer, just smile with delight. Thanks Brenda. Welcome back. I’ve missed you. I’m so glad you’re back!!! I so enjoy your podcast; you’ve got a wonderful voice, great music and a fantastic mix of stories. Also, because of Cast on I signed up with audible— but not through your podcast. I want to make sure that they know that I heard about them through you ( I know that that part is crucial in advertising !! : ) and I was wondering if you have or if you could make a section on your website about the audible books that you’ve listened to, enjoyed and would recommend. Thanks and welcome back! I’m so glad you’re back!!! When you were on the plinth you mentioned doing a wall hanging with giant needles, maybe a white aran sort of pattern with cables. You muttered something about being way too into knitting, but I think the sculptural wall piece idea is brilliant. To clean it I would use that incredible stuff called Soak and let it dry outside in the summer–in answer to your self-query regarding cleaning. I’ve listened to every one of your podcasts, and I adore them! Welcome back Brenda! You were missed. The weeks between podcasts may be long, but going months!?! It was torture! 😉 Thanks for podcasting for us. A friend introduced me to Cast-on and I am loving it! Not only am I feeling united with knitsibs around the globe through you (powerful), enjoying your philosophical bent, feeling inspired to create more, but this is my new source for indie music. I appreciate the time involved for you to research these fabulous up-and-comers, and I get the benefit, so THANK YOU! Enough rambling – thanks for sharing your life and perspective! With much gratitude, Karen from No. California. Welcome back! I have missed your voice and talk A LOT. Welcome back – I’ve missed you! Last night, in the middle of an epic, but un-winnable battle between my maternal instincts and my son’s teenage angst, I simply walked away and put on your podcast. Almost instantly, I could feel my blood pressure lowering and my gaze softening. Thank you for transporting me back to my ‘happy place’. Welcome back. Am so glad to hear your podcast again. Yours is my favourite knitting podcast and I tell all my knitting friends about it. 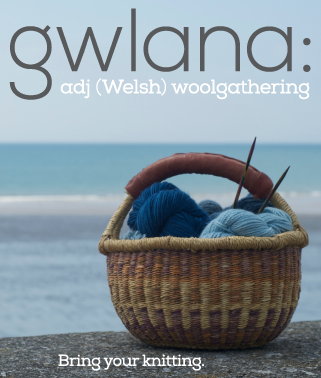 I love the mix of information, humour, philosophy, knitting instruction, story-telling and music. As terrific as the content is it is made even more enjoyable by your voice, so mellow and easy to listen to. Thank you very much for many hours of listening pleasure. The music in this episode was especially awesome too—I was really taken with ‘Kolysanka,’ and it was cool to see it’s from the same guys who did ‘Watchstar.’ They remind me of Crowded House, with something extra. Gotta love the quirky British pop. happy happy anniversary!!! i always love the podcasts. i treasure the time i get to listen to them. 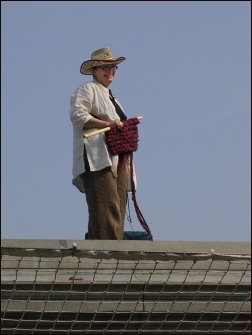 i enjoyed the knitting on the plinth. it was wonderful that you got to experience that. the best to you and yours in this new season. Congratulations on your four year podcast anniversary, Brenda! I’ve been with you on this journey from the beginning and have really enjoyed every episode. Thank you so much for all of the thought, time, sweat and tears that go into producing your most excellent podcast! One episode that made a deep influence on me was the one with the story told from the perspective of leftover yarn that gets knit into socks for a poor little girl. It inspired me to knit socks and sweaters for the Warm Woolies organization – and I think of that story every time I search my stash for yarn for these projects. I have just started listening to your podcasts (well podcasts in general). I have tried many knitting/spinning ones and I very much enjoy yours. I am listening in order from the beginning, so it is taking some time to get caught up. Just wanted to let you know I enjoy your style. Cheers!! I can’t wait for the next podcast I am sad because i used to be able to listen to you for hours on end now i have to wait for weeeeks can’t you podcast everyday? Just kidding. I appreciate all your hard work keep it coming! Happy Anniversary! I remember your first podcast. At the time the only other knitting podcast was “Knitcast with Marie Irshad”. Now look at how the genre has grown! I look forward to listening to many more podcasts from you. Yours is the friendly voice that accompanies me on roadtrips from Minnesota to eastern Wisconsin. p.s. Whatever happened to Marie Irshad? I could hardly believe it when I found out, that there’s a podcast for knitters. Actually it was my husband who discovered the podcast for me. We’d got phones with ipods and were trying to learn how to download and listen to podcasts. I must admit I do suffer from a mild case of KNITTING FRENZY! on the odd occasion. I also love spinning yarn from al sorts of fibers. Thanks for Cast On ! You said you checked the interweave site for errata. 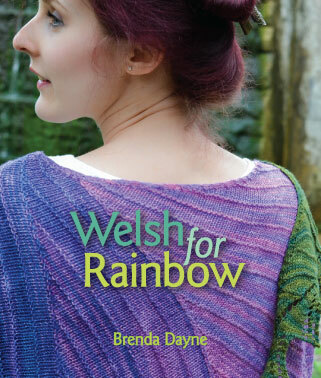 Have you considered writing a review or comment on the pattern in the interweave store? or telling interweave in some other way? Interweave could simply say that model has x inch bust, is wearing x inch sweater.